Daniel Altieri’s op-ed “There’s a Hidden Hierarchy in Athletics. Let’s Change That.” was important in that it showed how a significant number of athletes are not content with their treatment by the athletics department. In addition, every time I saw a “Group One” athlete for the rest of the day, a greeting was followed with “Hey, did you see that article in the Phoenix?” The conversations that the article started are ones that we should be having at Swarthmore because they involve equity in the treatment of others. I, in particular, want to focus on the perspective of Athletics Communications on this issue of equity in the treatment of different teams and hopefully share with the rest of you the role that they play in promoting athletics at the College. I do not believe that Altieri’s op-ed gave a proper picture of how the Athletics Communications functions and I hope to set the record straight in that regard. Many of the issues that Altieri pointed to in his article are either due to factors outside their control or are not truly reflective of how the office operates. Over the last three years, I have spent many hours working with Brandon Hodnett, the Director of Athletics Communications, and Kyle Kondor, the Athletics Communications Assistant, in addition to Roy Greim, who formerly served in Kondor’s role. Those two, along with some part-time student assistants including myself, are entirely responsible for the Garnet’s media presence. They make all social media postings, highlight videos, and write articles on swarthmoreathletics.com. They also generally maintain the athletics website, updating roster pages and record books. In addition to these duties, they are responsible for all aspects of gameday operations. This means finding student workers to man the cameras or P.A. announce, ensuring that the equipment necessary for live streams is present and functioning properly, and also fulfilling some role at the game themselves, often taking pictures or inputting live stats. Kondor or Hodnett, and generally both, are present at all Swarthmore home games. They also travel with team sports when they are participating in Centennial Conference championships or NCAA Tournament games when these do not conflict with home games. This does mean that sometimes away events like track meets and golf tournaments do not get covered as rapidly because they are simply not present at these events. In general, for team sports events, there are live stats and results that are quickly posted that Kondor and Hodnett can use to write a post-game recap, even if said event was away. The same is generally not the case for track and cross country meets and golf tournaments, leading to delays in articles being written. In addition, there are very few golf tournaments or track/cross country meets which are “home” events, meaning that Hodnett and Kondor are almost never able to be present at these competitions as they almost always coincide with home events. In general, there are only one or two golf tournaments or track/cross country meets that either can go to each year because of home games, leading to a limited supply of available pictures for these sports. 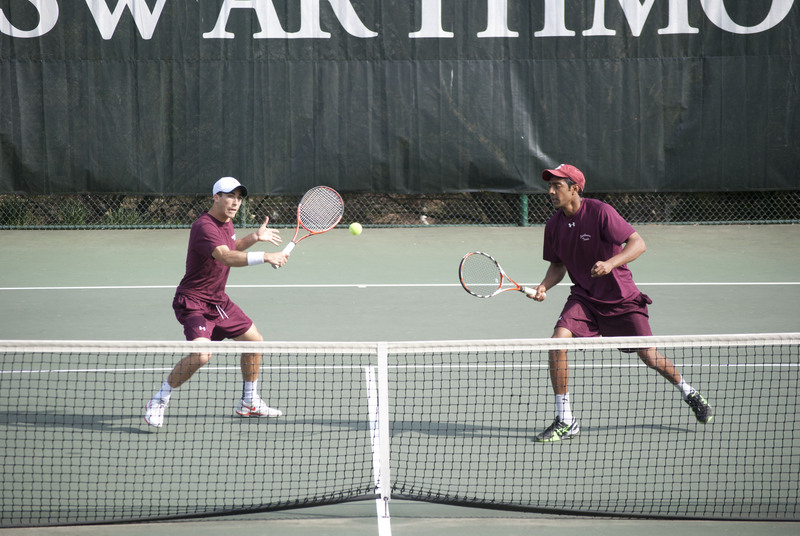 They spend their weeknights and weekends making sure that Swarthmore teams get the attention that they deserve. Since Kondor was hired at the beginning of last year’s spring season, he has made the Garnet’s social media presence a more significant priority for the office. This means posting after the Garnet wins with an abridged photo gallery from each game, posting all individuals honors such as conference player of the week, and posting highlight videos. Active social media posting was especially noticable during men’s basketball’s run to the NCAA title game this season. One point made in Altieri’s article was that when volleyball made it to the Elite Eight last year, they received fewer Instagram posts than the men’s basketball team this year in their run to the championship game. In fact, when men’s basketball made a similar run to the last year’s Elite Eight, they received even fewer posts than volleyball did, ten vs. the eighteen that Altieri cites as volleyball having received that year. This was in large part due to the fact that Hodnett was running the office by himself at the time. Kondor has greatly increased the Garnet’s presence on social media. Any team that has the success that men’s basketball had this season would surely receive the same attention from the communications office. Hodnett and Kondor can’t control which stories the Philadelphia Inquirer or Fox 29 choose to pick up. In addition, some coaches are particularly interested in the social media presence of their teams. Post-game interviews with men’s soccer players were done this season at the request of Coach Wagner. Some coaches actively give the department direction in their social media strategy while others are not as concerned. However, the office welcomes social media ideas from all coaches and student-athletes. One commenter helpfully crunched the number of Instagram posts by team. Baseball by far received the most posts on Instagram, but they also played the most games of any team, advanced to the College World Series, and had the greatest number of players receiving individual honors. Men’s basketball followed them in total Instagram posts, then women’s soccer. In general, it seems that the greatest predictor of the number of social media posts is team success and volume of games played. In reality, Instagram posts numbers are pretty consistent for most teams unless they achieved particularly notable success. Nine teams received between thirteen and sixteen Instagram posts over the last year, namely men’s soccer, men’s lacrosse, softball, women’s track and field, women’s basketball, men’s swimming, field hockey, men’s track and field, and golf. Men’s swimming did win a conference championship and send five swimmers to nationals, but they also competed in significantly fewer events than the rest of the teams on this list. In addition, only two of their meets were at home, further reducing the number of posts would get this made. Now three teams did fall below this thirteen post threshold, namely both cross country teams and women’s swimming. Perhaps there is indeed an argument to be made that they should have received more attention on social media — although both cross country teams only competed in seven events each. Perhaps there are things that the office can be more proactive with. 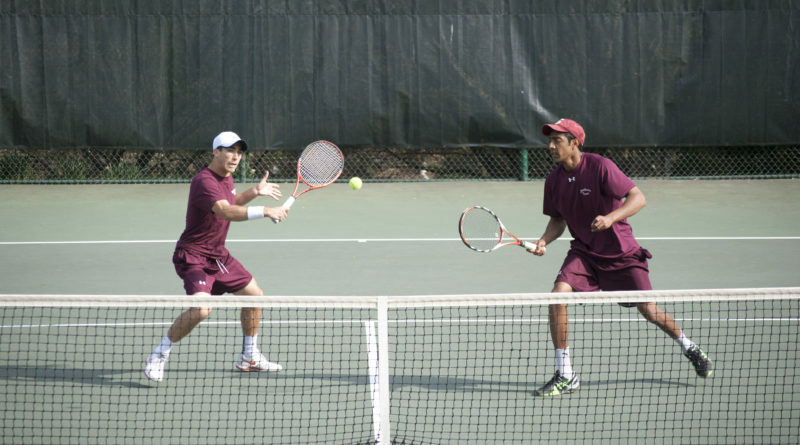 Roster photos are generally taken at coaches’ requests, which is why the men’s tennis team had photos taken back in September while the women’s team has yet to have new photos taken this year. But as someone who has worked in the office for the past three years, I can tell you just how packed their workload already is and that they address everything as quickly as they can. Delays in track meet or golf tournament recaps or anything of that sort are not reflective of an office that is somehow biased against these team. It is important to remember that a two-man team with limited assistance is responsible for so many of the public aspects of athletics. At the end of the day, Hodnett and Kondor are two of the biggest fans of Swarthmore Athletics, and their commitment to the success of all our teams should be appreciated.